Scallops, Halibut, Salmon, Lobsters etc. Seafood Paella, Adriatica, Lobster Ravioli, Cavatelli & Crab Meat etc. Pork Chop Milanese, Brick Chicken, Chicken Giambotta & Piedmontese etc. Business lunch with customers. Very attentive & professional service. Excellent food. Lamb shank and scallops. Very good house wines. They are the only place in the area that knows how to cook meat. I rank them at or above Char (Red Bank) when it comes to rib eyes and bone-in steaks. Ruth Chris is a yawn. 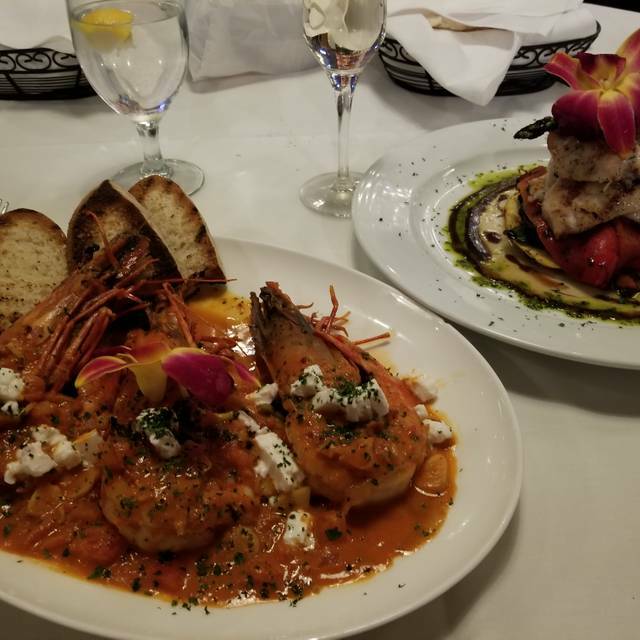 Sea food is always fresh, and service is impeccable. Simply awful. Started with Greek salad. Soggy tomatoes and little veggies. Octopus was chewy and cost 25. I then ordered strip steak and waiter said they didn’t have so I said I’d take the porterhouse. He said they didn’t have so I asked to speak to manager. Manager said they had porterhouse so I ordered it. It came to table and the plate cracked in half. The manager said that happens all the time. In all my years I couldn’t believe he said that. Couldn’t wait to get out of there.. Will never go back. A 150 dollar dinner not fit for consumption. Nice waiters, but a little slow with the service, which can be relaxing for dinner but not during a work week lunch. The exterior facade (front and back) needs a lot of work, but the inside is appealing. Filet of sole franciase was delicious. As good as the service was our previous visit, we were very disappointed this time. It took 15 minutes to get seated, and they put our party of 5 at a small table where others had two at a table the same size. They were not that busy and two larger tables sat empty. Obvious regulars had wait staff swarming their table, but we had to repeatedly wave staff down to refill water. Table was not set properly and waiter grabbed a salad fork from a neighboring table for me to use with entree. Not offered dessert or coffee...even though I noted my wife's birthday on the reservation. It was our first visit and will definitely not be our last! Everything was wonderful! Food was pretty good but the noise level was so bad we almost walked out. Very drunk patrons at the bar just about ruined the experience. Amazing! Everything was great from the service to the food. Only issue was the front desk; we were meeting 2 friends there at 7:00 PM. We arrived a few minutes early and were seated until our friends arrived. We did not know our friends has arrived shortly after we were seated but the front desk person put them in a waiting area not easily visible. They waited 15-20 minutes before the front desk person woke up and directed them to us. Not a good way to start. Always have a great experience at Barka. Great food and service. This is one of my very favorite restaurants. The ambience, the wait staff, the food quality, amazing. Nick the manager is very cordial and always says hello, Besi the bartender is amazing. He greets you by your name and is very personable and makes an incredible white Sangria using Prosecco and vanilla vodka. There menu is extensive and their Happy Hour Menu you cant go wrong. Everything is good. Great ambience and decent price for great seafood. Convenient location. Great place for lunch. Quiet during lunch time, do great for business. Our 1st time here and it was awesome! 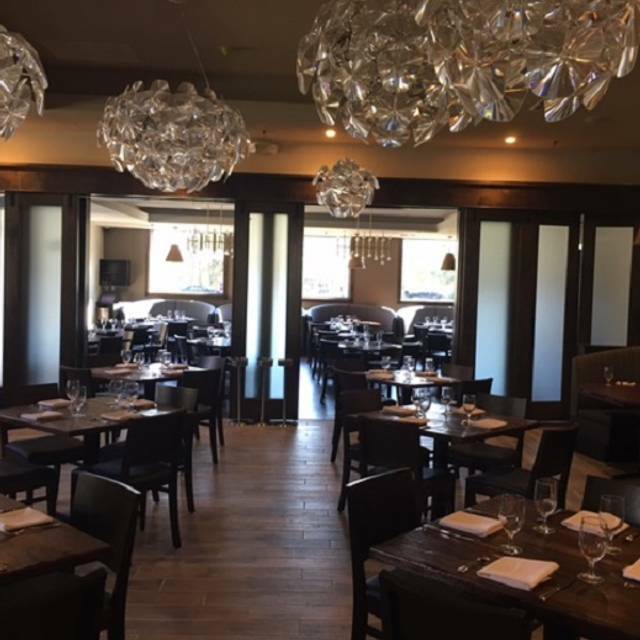 They have a well rounded menu with many great appetizers and entrees. Service was also outstanding. It is a bit pricey but well worth it in my opinion. My wife had lamb chops and I had the filet mignon, compares to the NYC establishments we usually dine easy. *Only note to the manager is to keep an eye out for loud obnoxious people at the bar. We expect some noise from the bar area, but a couple drunk people can ruin the atmosphere. We were almost done so we didn't say anything, but when I pay top dollar for a meal, I don't want to hear screaming idiot's. All of the food we ate was not seasoned at all. The ribeye steak was tough. 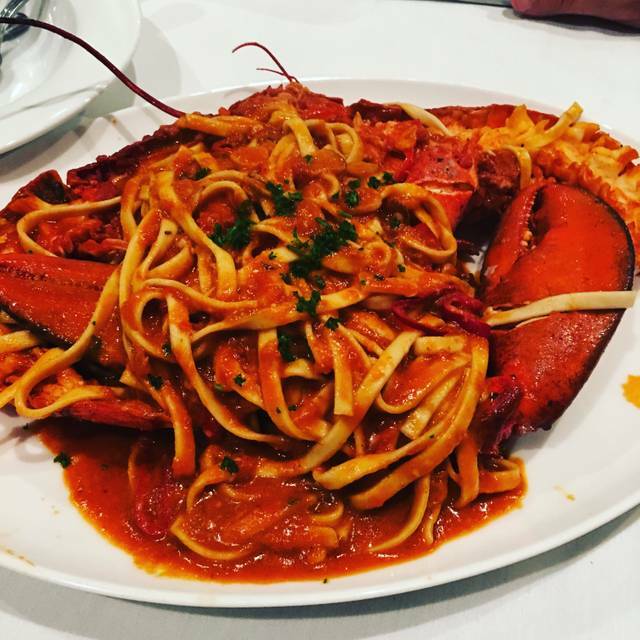 The angry lobster was saturated in Tomato sauce which was flavorless. Barka is in our neighborhood so we stopped in on a Friday night to try it. Ambience, and the menu were good (albeit expensive), however the food was mediocre at best. My husband ordered the seafood pasta that arrived overcooked and gummy while also VERY under-seasoned and not edible. 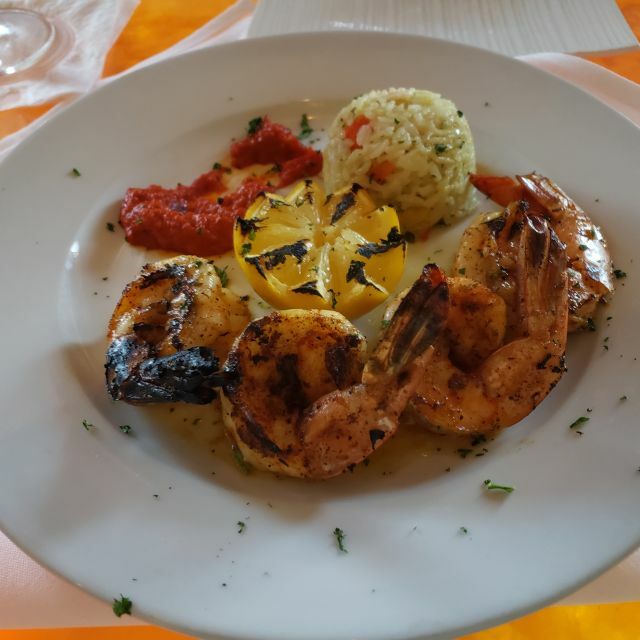 I had the grilled shrimp, good, but under-seasoned. The only bright spot were the Brussel sprouts - goodness, the side dish! We mentioned the pasta to the server, he seemed uninterested and unconcerned with our feedback. We won't return, too many other choices. Can't think of one negative thing to say. Perfection. 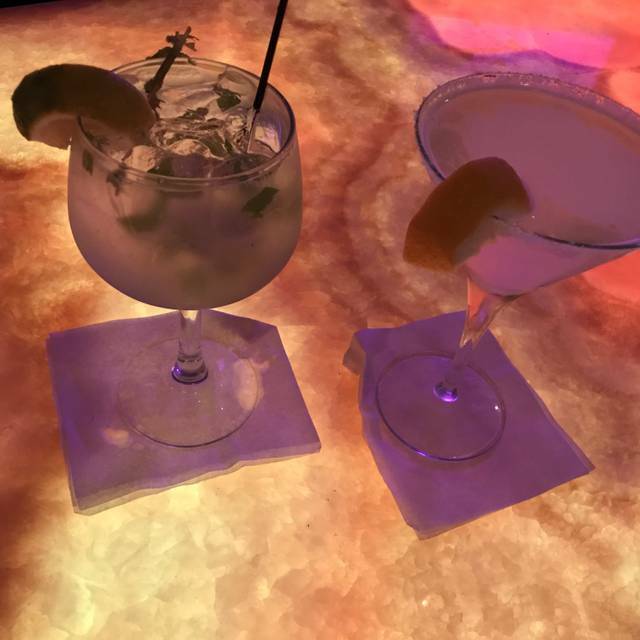 My husband and I enjoyed the ambiance and food selection. Also—great location! Would definitely come back. Our evening was Valentines day restaurant was crowded wait staff did a exceptional job . Been here a few times always had a great meal. Would recommend for any special occasion. Delicious food, great menu. Great spot for date night! It took 20 minutes to get bread/olives/spread, 25 - 30 for water and to order drinks with the waiter. Not sure why we were invisible for so long. While the restaurant was very busy, in these instances there needs to be some assistance by other staff. For the prices charged the service and attention should be stellar the entire time, especially on arrival. Once our drink order was taken, the service from then on was fine. The food was presented well. Our dishes, beet salad, diver scallops, cavatelli and crab meat, we're very good. The restaurant looks great outside and inside........but looks can be deceiving! We ordered the Crab cocktail....while the portion was plentiful the crab was not fresh. It tasted like it was out of can. 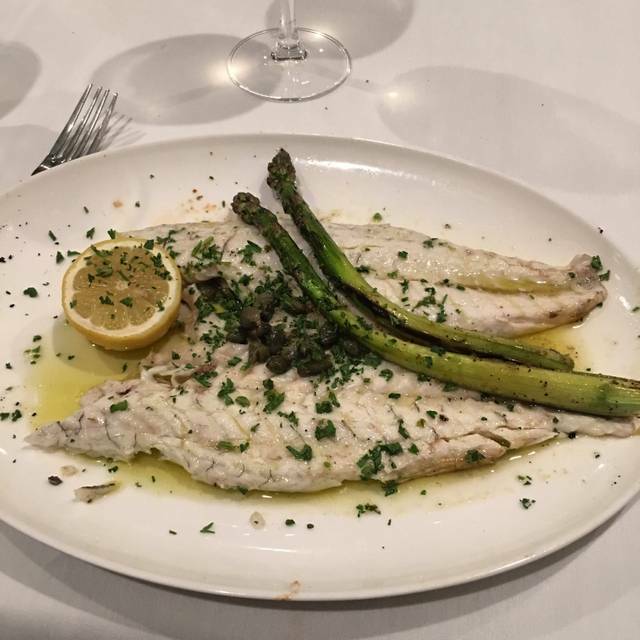 For dinner, we ordered a whole Bronzino and a Halibut dinner. Both dishes arrived promptly but cold. In fact the Halibut was still frozen inside. We sent both dishes back and they still came back a second time cold. The manager then walked over to our table to inform us that they cannot make either dish hot because that would dry out the fish....Really? Every other restaurant gets it right! Obviously dinner was a disappointment. We had a great meal. Service was excellent and the staff was fun and attentive. A very enjoyable dining experience. The menu is varied with lots of choices of meats, fish and pasta. My wife and I were excited to try Barka for our Anniversary. I have to say we left underwhelmed. For the prices they charge, the quality and presentation was lacking. 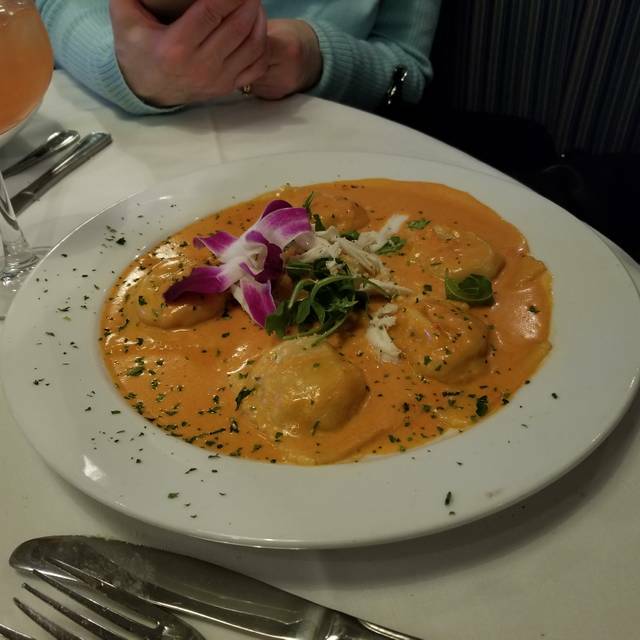 Our server Diamond did a good job trying to take care of us, but my wifes entree Lobster Newburg, in a watery sauce, was dumped over asparagus risotto in one big mess. It should have been served in casserole so the sauces didnt mix. 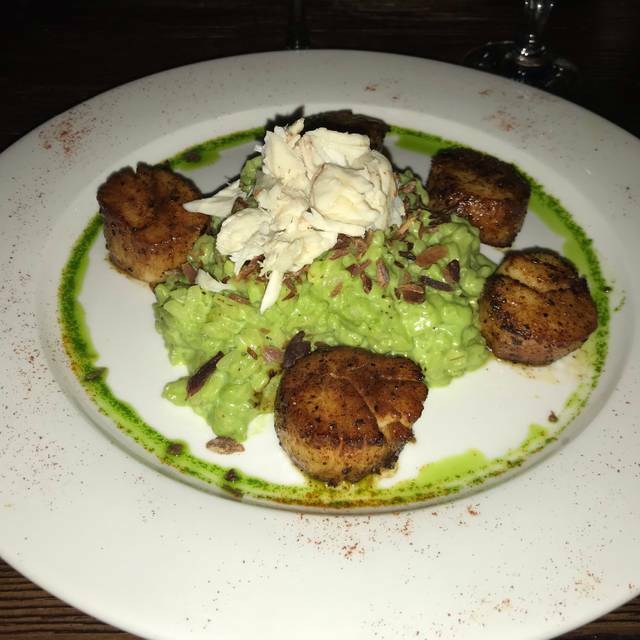 My Scallops were nice enough, but small and not a good portion for $35.00. Overall, we were not impressed and most likely won't be back. We love it. Food is wonderful. The stuff was up scaled. I've been a fan of Barka since before it gained its popularity. The food is delicious and the service is incredible. We frequent there for dinner and I've also hosted a private party. Again, service was top notch. I CONSTANTLY recommend this venue and everyone is always satisfied. HIGHLY recommend! Great service, food & wine selection! Loved the raw bar! Excellent meal! The food was delicious! One of the absolute best octopus appetizers we’ve had! Bustling restaurant on Saturday evening. Had reservations at 7pm and was promptly seated at our table. Good menu selection. Chopped salad was fresh and delicious. Had grilled branzino and lobster fettuccine a la vodka. Ample portion size and both were very well prepared and served hot. Service staff were friendly but a bit disorganized and over extended with the number of diners. Had to ask for the menu and water refills during dinner. They never asked if we wanted coffee or tea with our dessert. Overall a good dinner experience. 11 of us went to dinner for my birthday. I easily made the reservations through Open Table, and they gave us a private room. 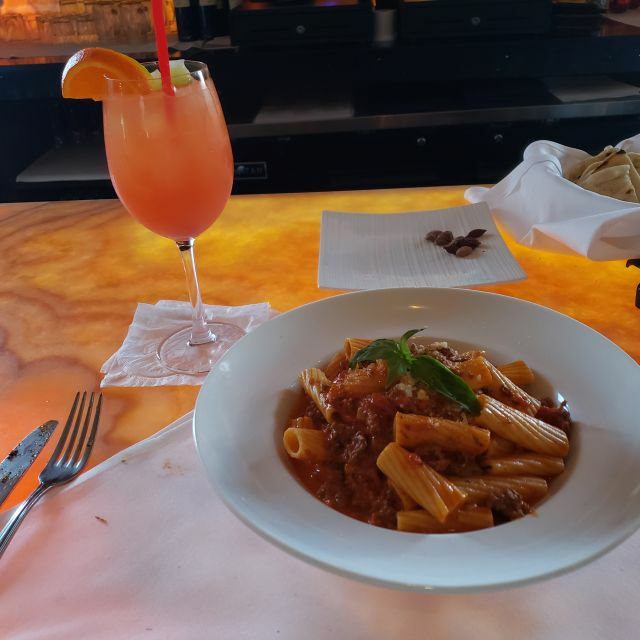 The place was nicely decorated, the service was amazing (not rushed but they were prompt to provide us drinks and take our orders), and the food was as amazing as the rest of the experience. I highly recommend! Food was very good. Veal chop on sizzling plate. Fish done well. Really good baklava. Service was good and waitstaff was attentive.